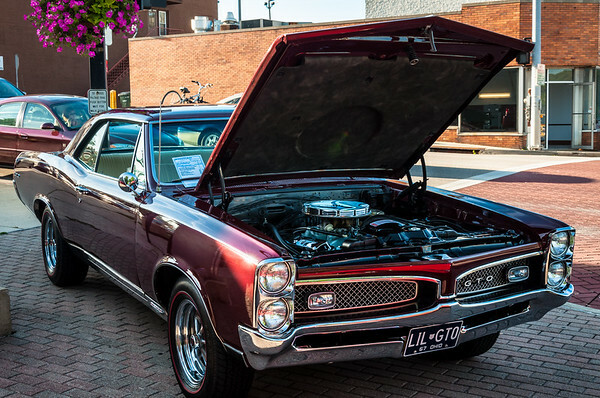 What a beautiful car this 1967 GTO is. Still looking good in 2012! I took this picture with my Nikon D90 on August 22, 2011 at the Riverfront Mall Cruise-In, Cuyahoga Falls, Ohio. The ISO is 200 which is what looks great when using a Nikon. I shot the picture around 7pm which gave me some dramatic lighting. I typically run and gun and very seldom use a tripod. I used to shoot a lot of cars with my 35mm Canon years ago, and would use a tripod if I was being paid for the pictures. In those days the picture of your car on drift wood was very cool! Always a winner! Go to a car show and get some exercise walking around looking at the great cars!